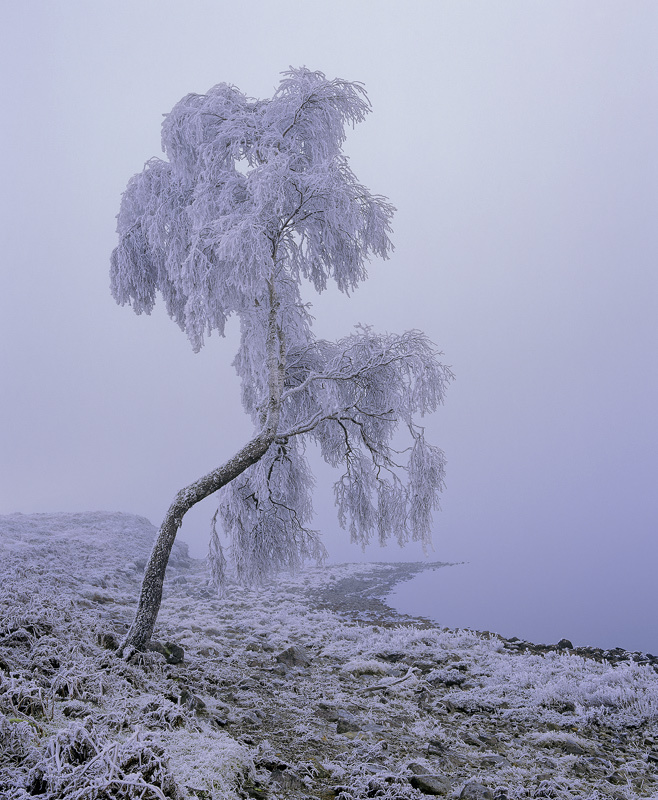 A deep frozen crooked birch tree suffers the ravages of freezing fog visibly settling on each tiny twig creating splintered rime nearly an inch thick. Mysteriously the loch remained unfrozen. The quiet stillness and eerie mood was palpable.